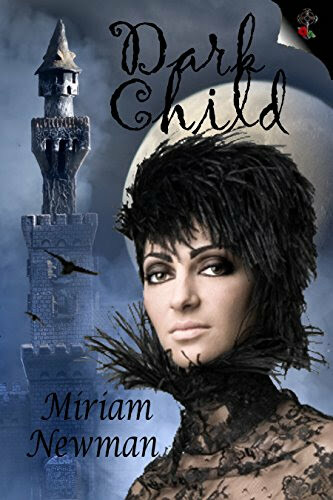 Thank you for joining us on the Virtual Book Tour for Dark Child, a Romance by Miriam Newman (first published in 2012 as "Deidre" by Rebecca J. Vickery; this edition 26 June 2017, DCL Publications, 33 pages). Author Miriam Newman will be awarding a $10 Amazon/BN gift card to a randomly drawn winner via Rafflecopter during the tour. Please do take part: comment on our post and follow the tour where you will be able to read other excerpts (☀), and reviews (✍). Born at a royal banquet for King Conor MacNessa of Ulster, Deirdre is predicted by Conor’s own druid to be blessed and cursed with a beauty which will make kingdoms contest over her. He names her “Deirdre of the Sorrows” and urges the king to slay her. But Conor, unwilling to murder a babe, takes her under his protection only to fall prey to the curse when she is nearly grown. Captivated by her youth and beauty, the aging king will go to any extreme to possess her. When Deirdre innocently falls in love with one of Conor’s chief warriors, it sets in motion a tragedy that will involve kings and countries, famous fighting men and sages alike: Cuchullain, champion of the Cattle Raid of Cooley; King Fergus MacRi of Ulster; Queen Medb of Connaught; Catha the Druid, and others. Fantasy poetry driven by myths and legends has been my passion for as long as I can remember. I was published in poetry before catching the romance writing bug. I bring that background to my writing along with a lifelong addiction to horses, an 18 year career in various areas of psychiatric social services and many trips to Ireland, where I nurture my muse. My published works range from contemporary fantasy romance to fantasy historical, futuristic, science fiction and historical romance. Currently I live in rural Pennsylvania with a “motley crew” of rescue animals. Hello Miriam, thank you for popping by! A very happy and successful new year to you!